Rhonda is a psychic medium who has learned that we all have gifts to offer the world and that the world becomes greater the more that we are all on our path. Through readings she can gently take people's hands and remind them of their life's purpose, their divinity and help them make the most of this life experience. Rhonda also loves to teach. She feels as though we all have a unique life purpose and her job is to lead people to their path(s) and encourage them on their way. Learn how to obtain information by going to the Akashic Records. Learn about chakras and how our energy centers tell us about our mental, physical, emotional and spiritual state of being. Learn how to do chakra readings. Learn about auras and how they reflect our "inner worlds" to the "outer world." Learn how to do aura readings. Have an opportunity to do a past life regression in which you will view a lifetime in which you used your intuition. All of Rhonda's readings are focused on connecting with who and what we are. Since she believes that we are all spiritual beings in a physical body her readings naturally are very spiritual in nature. By spiritual, she does not mean religious, in that she does not prescribe to any one religion, nor are her readings based in any one idea of spirituality. 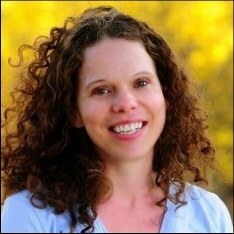 Rhonda can do in-person readings (if you are willing to travel to Longmont, CO) or phone readings. Rhonda uses energy to clear out energy imbalances of the body while talking about why these energy imbalances exist in hopes that the client will be more aware, in the future, of how our mind impacts our physical health. She also applies energy to rejuvenate and revitalize the energy centers (chakras) so that one is more energetic, thus more healthy and more resistant to illness. ARCH® Master: ARCH (Ancient Rainbow Conscious Healing) is an ancient Hawaiian energy healing modality rediscovered by Kahuna Laurie Grant. ARCH® Healing Teacher: I teach people how to use energy to heal on mind, body and spiritual levels using ancient Hawaiian Healing techniques. Work on issues that did not originate in this lifetime, thus, allowing you to work on the root cause in hopes of permanently curing the illness/issues. See/experience/connect with past talent(s) in hopes of bringing these gifts forward in this lifetime. Rhonda began her journey as a psychic by channeling books. At the age of 21, she learned that if she put her pen in her non-dominant hand she could access her subconscious like the “stream of conscious” writings of the “beat generations” of poets that she was studying in her English class. She started writing words that became sentences, the sentences became paragraphs and eventually the paragraphs became chapters and the chapters became books (with a lot of practice). She still writes. To date, Rhonda has channeled nine books. She has only published one of the books, His Words, which is result of a missing person’s case that she worked on. She worked with an individual on the “other side” who wanted desperately to communicate with his family to let them know that he was okay. 'His Words came about from an amazing relationship that psychic medium, Rhonda O'Brien developed with a 23-year old man who had passed two months prior to their meeting. This unique union started with Doug Johnson's, the 23-year old man, desperate desire to make contact with his family. He wanted his family to know how much they meant to him as well as to settle the last details of his life. "I must say I was VERY impressed, and relieved... Anyway I just wanted to thank for the clarity I received from my reading. You're Awesome!!!!!!!!!" "I met you at the metaphysical fair in March. I'm the one who's channeling a book. I wanted to let you know that I've taken some of your suggestions and things are starting to flow again...Anyway, thanks for your help." "Thank you so much for the fabulous weekend and for teaching me how to be fabulous. Most of all, thanks for understanding me and knowing what I needed for this weekend."